Automatic transmission concept began to settle in our country about 10 years ago. Especially known to be reasonable citizens living abroad automatic transmission vehicles, once begun to be preferred by our female driver. ANTALYA Rental Cars has joined our group since 2011. Our automated tools in our company. 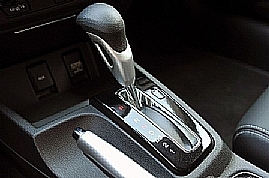 Automatic transmission vehicle of choice for one of the biggest reasons for that reason düşüncesidir.evet more fuel is consumed, it is true that more than a manual fuel consumption during the first production automobile.However, lately, especially due to advancing technology for the automatic transmission vehicle, other vehicles with the same rate to IrDA almost sağlamışt fuel consumption. The most important cause of excessive fuel consumption; dejriat system also make the vehicle itself and the engine power of the vehicle is full and the inability to reflect off simultaneously. Use fine coke y the automatic transmission cars automatic, fully automatic, tiptronic, and there are several varieties. On the gear, has a world-class letter groups and is valid in all vehicles. In a few points that should be considered when using these types of cars are; Should never be done without stopping the vehicle is fully rake gear review process, "Wasted" Getting the so-called "N" position while on the move should not be exceeded, the car "P" (Park) position should be running and must be stopped. Car rental companies have found more automatic transmission vehicles in the fleet r they are found in the last 5-6 years. Automatic transmission car run fact more costly compared to other means of maintenance, leasing companies has been hampered by the investments in the auto vehicles. Over the past few years to increase the demand for this type of vehicle has undergone move the car rental company. ANTALYA airport and the center also offers services Rental Cars, Opel, Ford, Hyundai and Renault and Volkswagen Type of automated tools 5 years Antalya Rent a Car offers the service.